How to create a file based on an existing template. How to create a file by importing an EccoPro file. This menu-option will create a new file, from the file 'default.plt'. 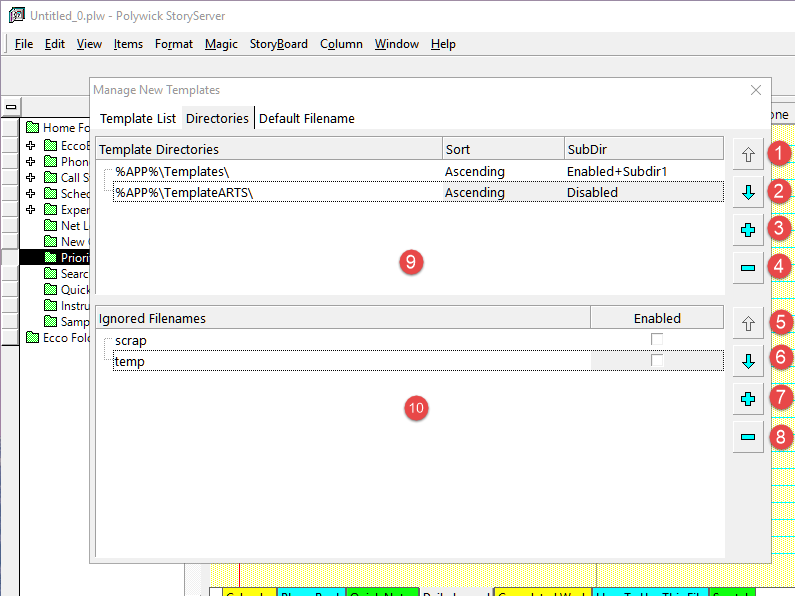 This file is present in C:\Program Files\PolywickStudio\StoryServer\default.plt and is usually read-only. To change this default file, please see File > New Template > Default. 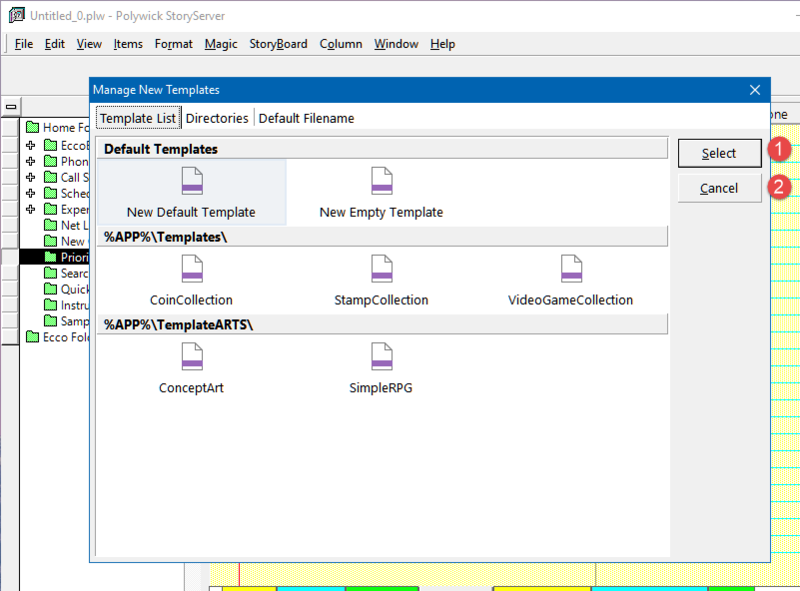 To create a new file based on a template, select the menu option Manage Templates. The 'List' page contains the list of sub-directories. New Default Template is the usual new file. Empty file is a totally empty file, with no Calendar, no PhoneBook. Use 'New Default Template' as for most or all File > New requirements. Move the Template Directory Entry Up. Move the Template Directory Entry Down. Add a Template Directory Entry. Move the Ignored Filename Entry Up. Move the Ignored Filename Entry Down. Add a Ignored Filename Entry. Ignore the names of files which contains the specified names. 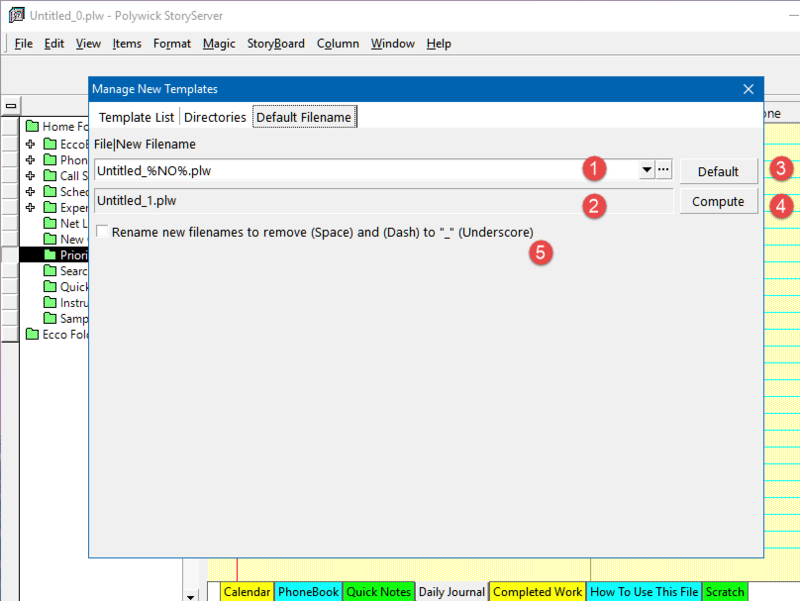 This allows you to set a filename for the default template.